Toolroom Records, one of the leading names of the house music scene, is set to bring something special to San Francisco. Established in 2003, Toolroom Records literally began in owner and superstar DJ Mark Knight’s backyard tool shed. Since then, the label has grown into an international powerhouse that has achieved great success in just a short few years. The label has smashed sales records, scooped up awards from Beatport, picked up an IDMA at Winter Music Conference in Miami, broke into the iTunes compilation charts, and collaborated with A-list artists such as Coldplay, Florence and the Machine, Faithless and Tiesto. 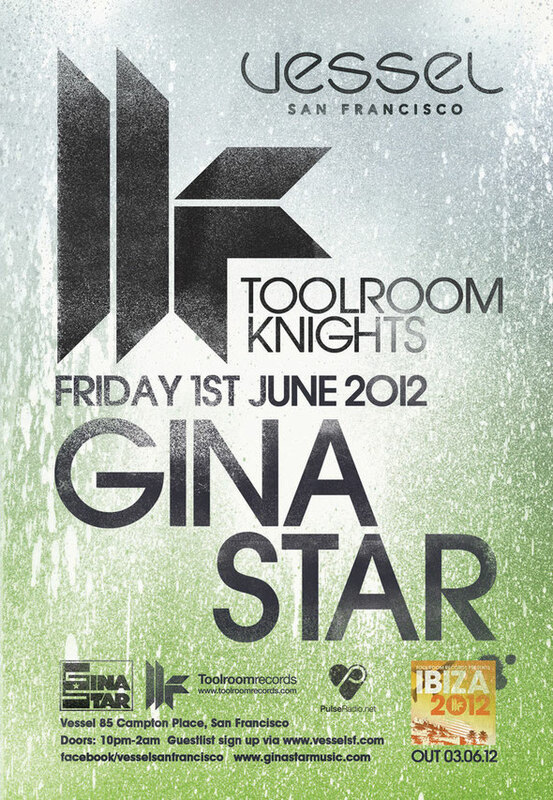 The Toolroom brand launched their own club night called "Toolroom Knights", originally starting in London’s famous Ministry of Sound, their events soon grew and spread across Europe’s leading clubs and festival tents, to where it now spends its summer season at Space Ibiza, arguably the world's best club. In the five short years that the label has been hosting parties, many of EDM’s DJ elite have played for them; artists such as Fedde le Grand, Benny Benassi, Umek, Chris Lake, Wolfgang Gartner, Michael Woods and Tocadisco (just to name a few) have all joined head-honcho Mark Knight in bringing the party.